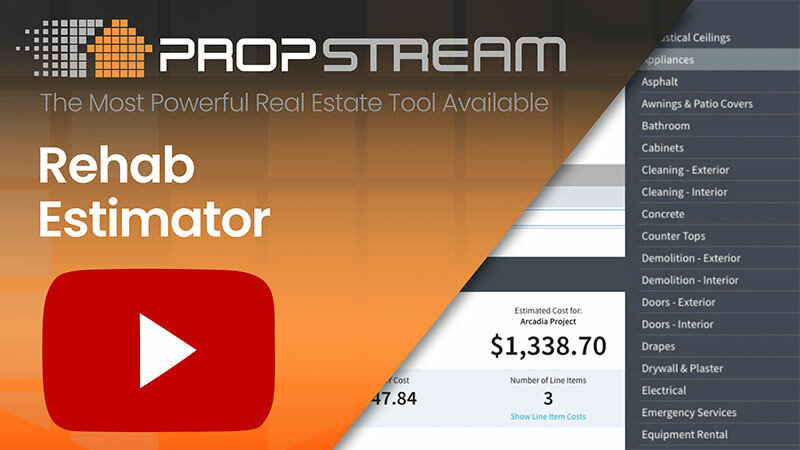 Market directly to your prospects with PropStream's built-in marketing features! Customize and send postcards, email campaigns, deploy in-browser online advertisements, create website landing pages, and even send voicemails directly to your prospects cell phones and digital landline voicemail without ringing their phone. Search and let PropStream organize and summarize the critical information you. MLS Data Across the U.S.
Analyze more property information than most real estate agents have access to! Built-in step-by-step analysis wizard calculates all investment stratagies. Review COMPS that provide you with the most current and accurate info available. Connect with homeowners by using all of our built-in marketing features. Connect with prospects using the built-in marketing tools to close more deals. Create multiple direct marketing lists that meet your specific strategy. Estimate real rehab costs before purchasing a property. PropStream Is The Only Professional Tool That Gives You The Data Software And Analytics To Solve Real-World Problems Across The Entire Country!